Christmas cards really don’t get any cuter!!! 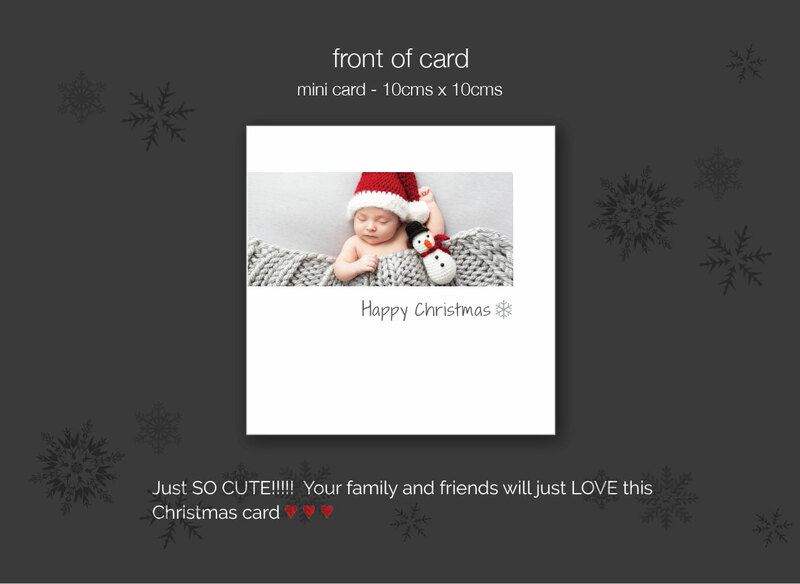 This beautiful card will be loved by all your family and friends! 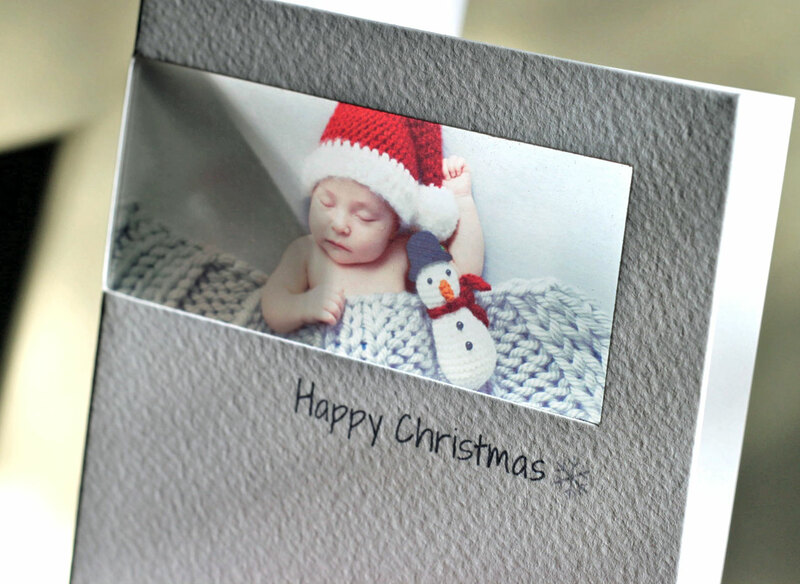 The photo is perfect – the textured blanket and the baby snowman – its easy to replicate if you can get your baby to sleep!! 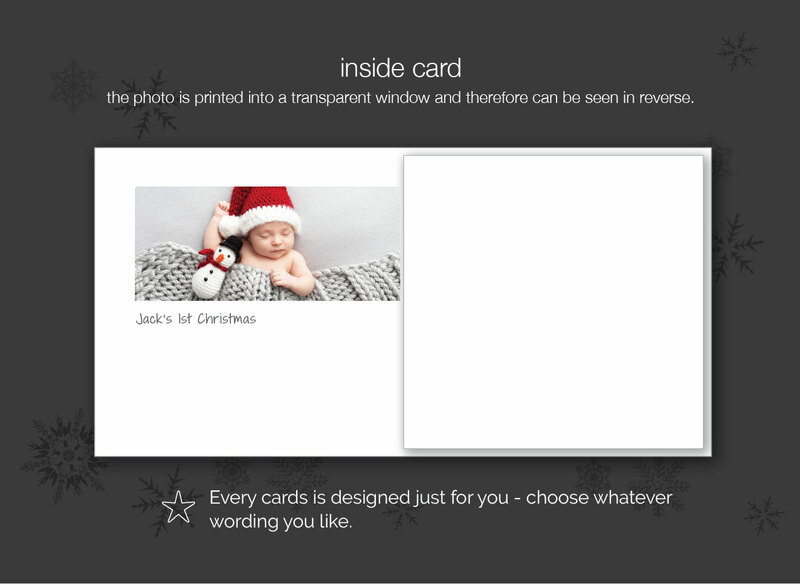 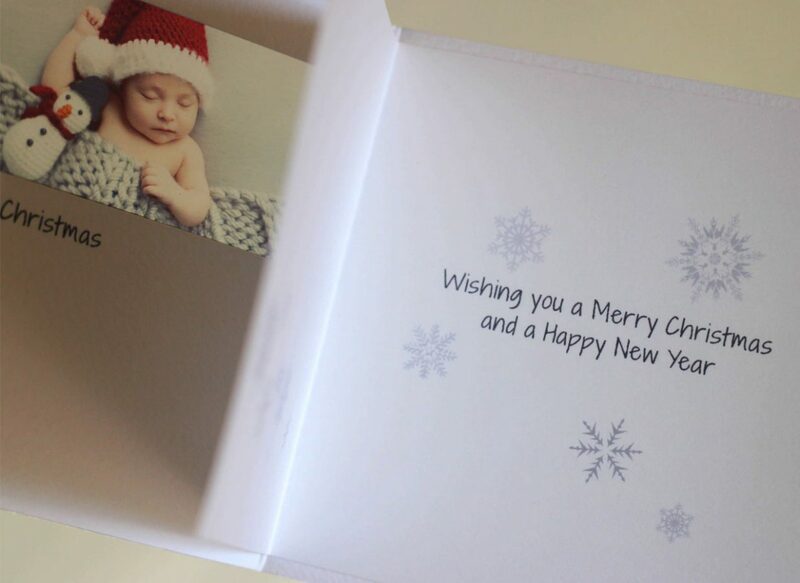 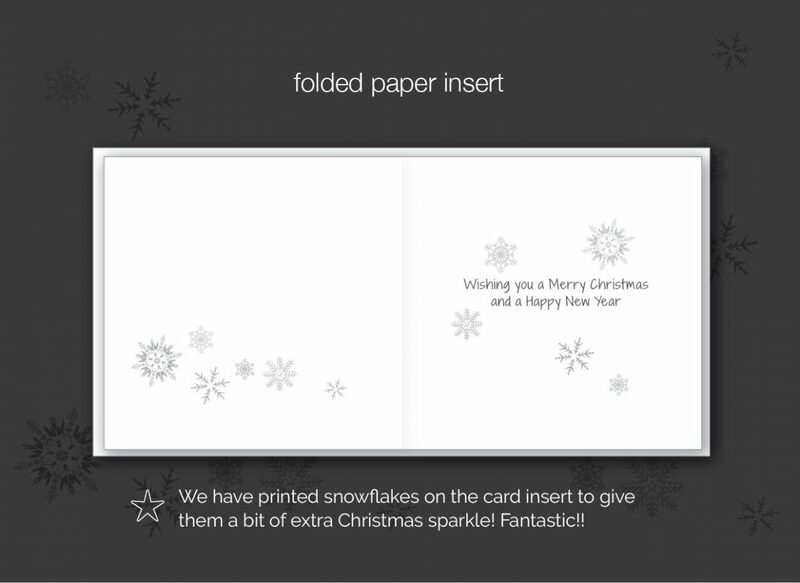 We have also used snowflake images on the inside of the card just to add that bit of extra Christmas sparkle! Just tell us you like the ‘first christmas’ if you would like to use any design details from this example.